The Lords of Altamont reserve the right to modify this Agreement at any time. You agree to review the Agreement periodically to be aware of such modifications and that your continued use of the Website shall be deemed to be your conclusive acceptance of any modified Agreement. 1.1 Capacity. Visitors must register as a Registrant in order to make use of certain features offered through the Website, as described herein. By clicking on the “I Accept” button, each Registrant acknowledges that such Registrant is at least eighteen (18) years of age and has read, agrees with and accepts to be bound by the terms and conditions set forth in this Agreement. Failure to click the “I Accept” button will prevent an individual from becoming a Registrant. 1.3 Registrant Profile; Password. Registrants will receive a user ID and password (“Profile”). Registrants agree not to allow any third party to use their Profile to access the Website and to safeguard the information that would allow another person or entity to access the Website by using their Profile. Registrants agree to be responsible for their failure to safeguard such information and/or to allow any other person or entity to access or use the Website by using their Profile. No part of a Profile may be transferred or sold to another party. Registrants agree to notify The Lords of Altamont immediately of any unauthorized use of their Profile or the Website. Registrants and Visitors agree that The Lords of Altamont shall not be liable for any loss that results from the unauthorized use of a Registrant’s Profile, either with or without such Registrant’s knowledge. 1.4 Revocation of Registration. 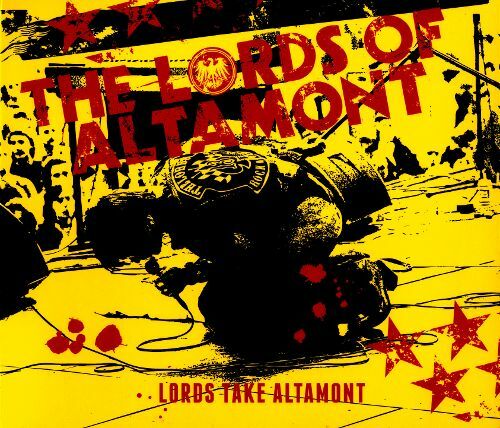 Registrants agree that The Lords of Altamont has the right to cancel their registration for any reason at any time, in our sole discretion. 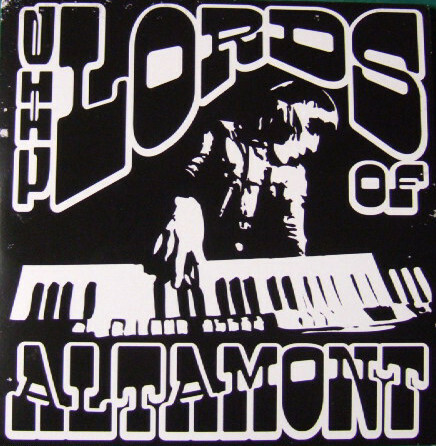 The revocation of a Registrant’s registration shall result in the loss of access to portions of the Website accessible by Registrants, and Registrants agree that The Lords of Altamont shall have the right to take appropriate administrative and/or legal action, including criminal prosecution, to protect our interests. 2.1 Content. 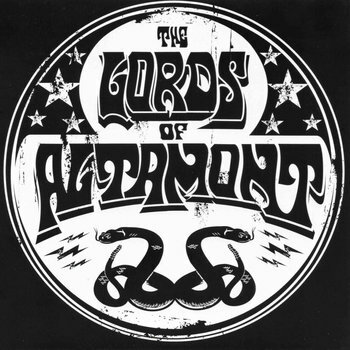 The Lords of Altamont offers Registrants the opportunity to post text, comments, messages and other content (“Content”) to the Website about items offered for sale by The Lords of Altamont. None of the Content posted by Registrants (“Registrant Content”) shall be subject to any obligation on The Lords of Altamont’s part, whether of confidentiality, attribution, or otherwise, and The Lords of Altamont shall not be liable for any use or disclosure of any such Content. Content posted to the Website may be subject to size and usage limitations, and Registrants are responsible for adhering to such limitations. The Lords of Altamont does not, and you agree that The Lords of Altamont has no obligation to, review Registrant Content, and therefore we do not guarantee the accuracy, integrity or quality of such Registrant Content and we cannot assure that harmful, inaccurate, deceptive, offensive, threatening, defamatory, unlawful or otherwise objectionable Content will not appear on the Website. However, you acknowledge and agree that we have the absolute right to monitor all Registrant Content in our sole discretion. In addition, we reserve the right to alter, edit, refuse to post or remove any Registrant Content, in whole or in part, for any reason or for no reason, and to disclose such materials and the circumstances surrounding their transmission to any third party in order to satisfy any applicable law, regulation, legal process or governmental request and to protect ourselves, Registrants, Visitors or service providers. You agree that we do not have any obligation to use or respond to any Registrant Content. You agree that you shall immediately notify The Lords of Altamont in writing of any objectionable Content appearing on the Website. 2.4 Use. Except for Registrant Content posted by you, you may not copy, reproduce, distribute, publish, display, perform, modify, create derivative works of, transmit, sell, or in any way exploit any portion of the Website, except that you may download Content from the Website as machine readable copies and/or print copies of any web page, provided that such copies will be used for your own personal (non-commercial) use and not for the purposes of competing in any manner with the Website or The Lords of Altamont. 2.5 Grant of License to Registrant Content. 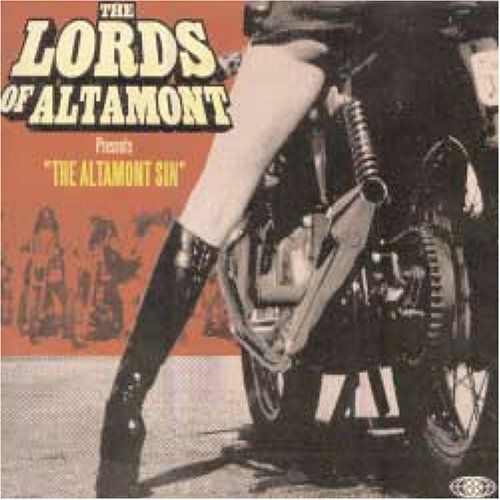 By posting Registrant Content to the Website or by otherwise submitting Content to us, Registrants automatically grant, and represent and warrant that they have the right to grant to The Lords of Altamont, a non-exclusive, perpetual, irrevocable, sublicensable (through multiple tiers), assignable, fully paid, royalty free, worldwide license to use, copy, modify, adapt, publish, make, sell, create derivative works of or incorporate into other works such Content, derive revenue or other remuneration from, communicate to the public, distribute (through multiple tiers), perform or display such Content (in whole or in part) and/or to incorporate such Content in other works in any form, media, or technology now known or later developed, and to grant and authorize sublicenses of the foregoing through multiple tiers of sublicensees, including the right to exercise the copyright, publicity, and any other rights over any of the materials contained in such Content for any purpose, including for purposes of advertising and publicity on the Website and elsewhere. The Lords of Altamont shall not be limited in any way in its use, commercial or otherwise, of any Content posted by Registrants appearing on the Website. Registrants hereby waive any moral rights in, or approval rights to, such Content. Further, we have the explicit right to incorporate any Content posted or otherwise conveyed by any Registrant to this Website into any further work, in any medium, without prior consent or review, and without payment of any royalty or fee whatsoever. 3.1 Purchases. Certain products are offered for sale through the Website. In the event you wish to purchase any of these products, you will be asked by The Lords of Altamont or an authorized third party on The Lords of Altamont’s behalf to supply certain PII, including without limitation, your full name, address and credit card information. You agree to provide The Lords of Altamont or such third party with accurate, complete and current information at all times, and to comply with the terms and conditions of any ancillary agreement that you may enter into which governs your purchase of such product or service. You shall be responsible for all charges incurred through your account as well as for paying any applicable taxes. 4.1 Copyright. Except for Registrant Content, any Content appearing on the Website is the property of The Lords of Altamont or its licensors or suppliers and is protected by copyright under the copyright laws of the United States and other countries. You agree not to use, display, reproduce, retransmit, modify, distribute, disseminate, sell, publish, broadcast, circulate, display or in any way exploit any Content (including any copyrighted material, trademarks, or other proprietary information), in whole or in part, whether by e-mail or by any other means, for any purpose other than for your personal, non-commercial use. 4.2 Trademarks. 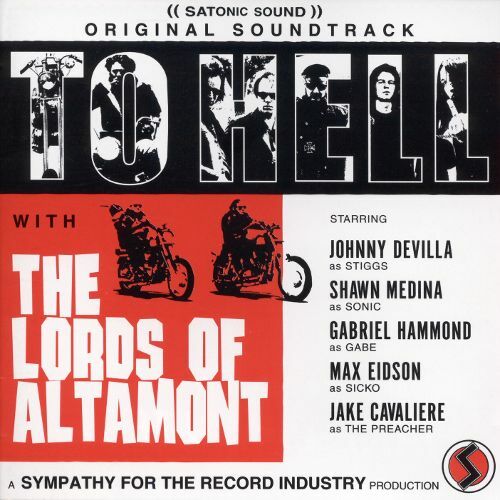 Unless otherwise indicated, all names, graphics, designs, logos, page headers, button icons, scripts, commercial markings, trade dress, and service names included in the Website are trademarks of The Lords of Altamont or its licensors or suppliers (collectively, the “Trademarks”) and are protected by the trademark laws of the United States and other jurisdictions. You may not use, copy, reproduce, republish, distribute, modify or post any Trademarks in any way, including in advertising or publicity pertaining to or distribution of materials on the Website, without our prior written consent. The Trademarks may not be used in any manner that is likely to cause confusion, or in any manner that disparages or discredits The Lords of Altamont. We suggest that you consult your legal advisor before filing a notice with The Lords of Altamont’s copyright agent. You should note that there can be penalties for false claims under the DMCA. 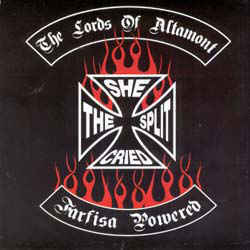 The Lords of Altamont and/or third parties may provide links to other websites of possible interest to you. Because we have no control over such websites, you acknowledge and agree that we are not responsible for the availability of such websites and do not endorse and are not responsible or liable for any content, advertising, services, products, or other materials on or available from such websites. You also acknowledge and agree that The Lords of Altamont shall not be responsible or liable, directly or indirectly, for any damage or loss caused or alleged to be caused by or in connection with the use of or reliance on any content, advertising, services, products, or other materials on or available from such websites. All such websites shall be subject to the policies and procedures of the owner of such websites. DISCLAIMER OF WARRANTIES. REGISTRANTS AND VISITORS ACKNOWLEDGE AND AGREE THAT THEIR USE OF THE WEBSITE IS AT THEIR SOLE RISK. 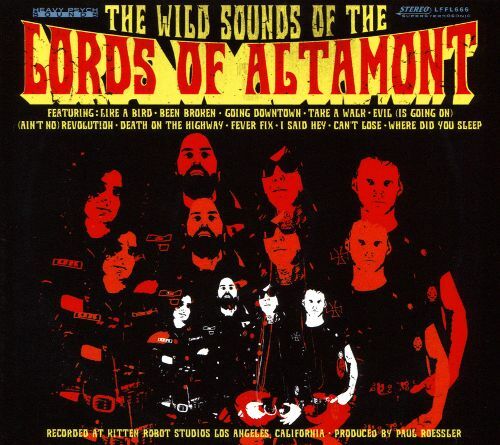 THE LORDS OF ALTAMONT MAKES NO GUARANTY AS TO THE ACCURACY, CORRECTNESS OR COMPLETENESS OF: (I) ANY CONTENT (INCLUDING WITHOUT LIMITATION REGISTRANT CONTENT AND PRODUCT DESCRIPTIONS AND/OR PRICING) APPEARING ON THE WEBSITE, AND IS NOT RESPONSIBLE FOR ANY ERRORS OR OMISSIONS ARISING FROM THE USE OF ANY CONTENT THEREOF; (II) ANY FAILURES, DELAYS OR INTERRUPTIONS WITH RESPECT TO THE ORDERING OF AND DELIVERY OF PRODUCTS ORDERED BY YOU; (III) LOSSES OR DAMAGES ARISING FROM THE USE OF CONTENT (INCLUDING REGISTRANT CONTENT) APPEARING ON THE WEBSITE; (IV) ANY CONDUCT BY REGISTRANTS OR VISITORS; OR (V) ANY PRODUCTS PROVIDED THROUGH OR IN CONJUNCTION WITH THE WEBSITE. ALL PRODUCTS ORDERED THROUGH THE WEBSITE ARE ACQUIRED BY YOU “AS IS” AND “WHERE IS”. EXCEPT AS EXPRESSLY PROVIDED HEREIN, THE LORDS OF ALTAMONT MAKES NO REPRESENTATION OR WARRANTY OF ANY KIND TO YOU, EITHER EXPRESS OR IMPLIED. 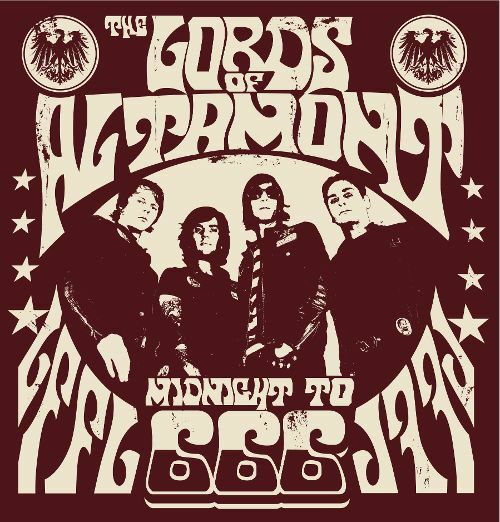 SPECIFICALLY, LORDS OF ALTAMONT DISCLAIMS ANY IMPLIED WARRANTIES OF TITLE, NON-INFRINGEMENT, MERCHANTABILITY, AND FITNESS FOR A PARTICULAR PURPOSE. 7. LIMITATION OF LIABILITY.7.1 IN NO EVENT SHALL THE LORDS OF ALTAMONT BE LIABLE FOR INDIRECT, INCIDENTAL, SPECIAL, CONSEQUENTIAL OR PUNITIVE DAMAGES, ARISING OUT OF OR IN CONNECTION WITH YOUR USE OF THE WEBSITE OR ANY PRODUCTS ACQUIRED THROUGH THE WEBSITE, INCLUDING WITHOUT LIMITATION FOR LOST PROFITS OR BUSINESS, OR ANTICIPATED LOST PROFITS OR BUSINESS, EVEN IF ADVISED OF THE POSSIBILITY OF SUCH DAMAGES. 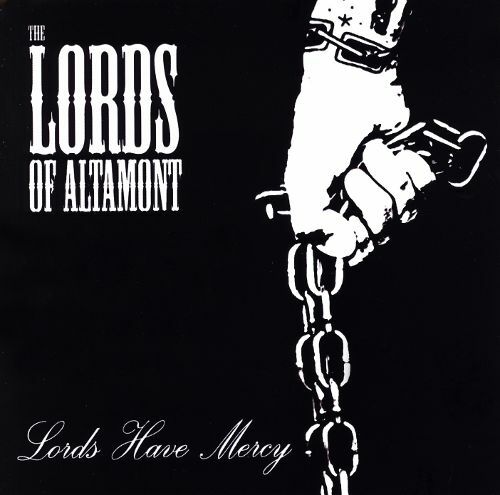 LORDS OF ALTAMONT’S AGGREGATE LIABILITY TO YOU OR ANY THIRD PARTY IN ANY CIRCUMSTANCE IS LIMITED TO THE GREATER OF (I) THE CUMULATIVE AMOUNT PAID BY YOU FOR THE PRODUCTS ACQUIRED THROUGH THE WEBSITE BY YOU WHICH GIVE RISE TO YOUR CLAIM, OR (II) $100.7.2 SOME JURISDICTIONS DO NOT ALLOW THE EXCLUSION OF CERTAIN WARRANTIES OR THE LIMITATION OR EXCLUSION OF LIABILITY FOR SPECIAL, PUNITIVE, INCIDENTAL OR CONSEQUENTIAL DAMAGES. ACCORDINGLY, SOME OF THE ABOVE LIMITATIONS IN SECTIONS 6 OR 7 HEREOF MAY NOT APPLY TO YOU. Indemnification. You agree to indemnify, defend and hold The Lords of Altamont harmless from any claim, expense or demand, including without limitation reasonable attorneys’ fees, made by any third party due to or arising out of your breach of this Agreement, or your violation of any law or the rights of a third party. You agree that under no circumstances will The Lords of Altamont be liable in any way for the accuracy, reliability, or quality of any Registrant Content, and that each Registrant shall hold The Lords of Altamont harmless for (i) any errors or omissions in Content posted by such Registrant, or (ii) any loss or damage of any kind incurred as a result of the use of Content posted by such Registrant. Third Parties. Your participation, correspondence or business dealings with any third party found on or through the Website, regarding payment and delivery of specific products, and any other terms, conditions, representations or warranties associated with such dealings, are solely between you and such third party. You agree that The Lords of Altamont shall not be responsible or liable for any loss, damage, or other matters of any sort incurred as the result of such dealings. Privacy. 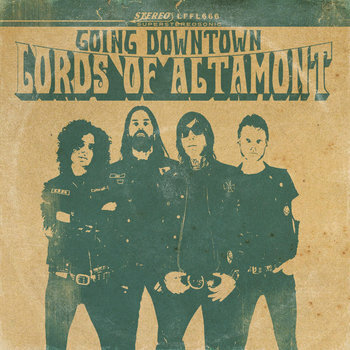 The Lords of Altamont is committed to safeguarding your privacy. No Agency. No agency, partnership, joint venture, employee-employer or franchiser-franchisee relationship is intended or created between you and The Lords of Altamont by this Agreement. Notices. Except as provided in the following sentence, all notices hereunder shall be given by certified mail, postage prepaid and return receipt requested, to: The Lords of Altamont, 2200 Ayr Street, Los Angeles, CA 90039, and to a Registrant at the address listed in such Registrant’s Profile. Notice shall be deemed given three (3) days after the date of the mailing. General. If any provision of this Agreement is held to be invalid or unenforceable, such provision shall be struck and the remaining provisions shall be enforced. You agree that this Agreement may be automatically assigned by The Lords of Altamont, in its sole discretion, to a third party. Section headings are for reference purposes only and in no way define, limit, construe or describe the scope or extent of such section. Our failure to act with respect to a breach by you or others does not waive our right to act with respect to subsequent or similar breaches. This Agreement sets forth the entire understanding and agreement between us with respect to the subject matter hereof. The provisions of this Agreement will survive termination or expiration to the extent necessary to carry out the intentions of the parties.